NEC gave us promises of truly on-the-spot forensics when it unveiled its first portable DNA analyzer back in 2007, although the reality hasn't been quite in line with the dream: its current system takes an hour to get a result and won't win any awards for sleekness. From what we're seeing of a next-generation analyzer due in 2014, those expectations are more likely to be met. The new version puts the full DNA extraction, amplification and separation processes on a newer chip that meets NEC's original goal of producing output in 25 minutes -- faster than a short cop drama, if you include the commercial breaks. 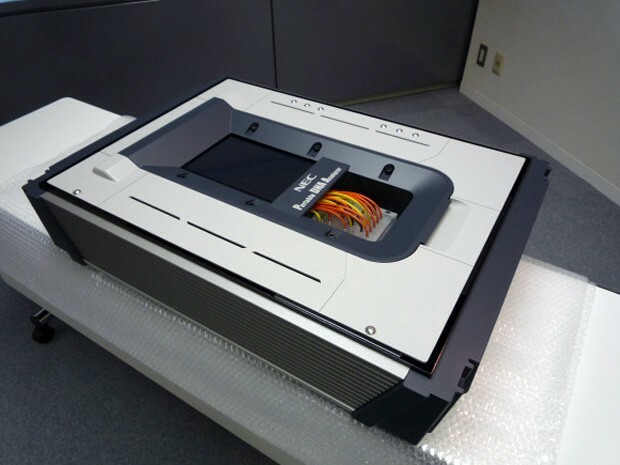 Few beyond the police will be casually tossing the analyzer around given its 70.5-pound weight and $120,000 price, but a much slicker design at least gives it the profile of a small, rolling suitcase. The upgrade could be vital for identifying suspects and victims in record time; if our only worry is that NEC takes all the mystery out of our favorite TV shows, we'll be more than satisfied.